A work of creative brilliance may seem like magic-its source a mystery, its impact unexpectedly stirring. How does an artist accomplish such an achievement, connecting deeply with an audience never met? In this groundbreaking book, one of our culture's beloved artists offers a detailed account of her own creative process, inspirations, and unexpected connections. Patti Smith first presents an original and beautifully crafted tale of obsession-a young skater who lives for her art, a possessive collector who ruthlessly seeks his prize, a relationship forged of need both craven and exalted. She then takes us on a second journey, exploring the sources of her story. We travel through the South of France to Camus's house, and visit the garden of the great publisher Gallimard where the ghosts of Mishima, Nabokov, and Genet mingle. Smith tracks down Simone Weil's grave in a lonely cemetery, hours from London, and winds through the nameless Paris streets of Patrick Modiano's novels. 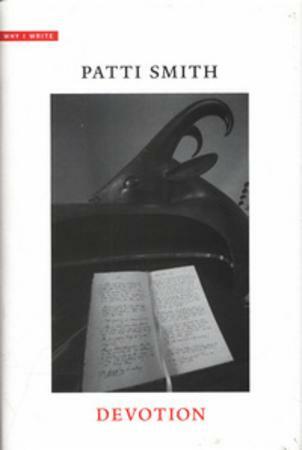 Whether writing in a café or a train, Smith generously opens her notebooks and lets us glimpse the alchemy of her art and craft in this arresting and original book on writing. 14:03, 7. november 2017 Ingen har det som favoritt. "Why do we write? Because we cannot simply live." 12:42, 27. februar 2018 Ingen har det som favoritt. ...slowly I discerned a familiar shift in my concentration. That compulsion that prohibits me from completely surrendering to a work of art, drawing me from the halls of a favored museum to my own drafting table. Pressing me to close Songs of Innocence in order to experience, as blake, a glimpse of the divine that may also become a poem.